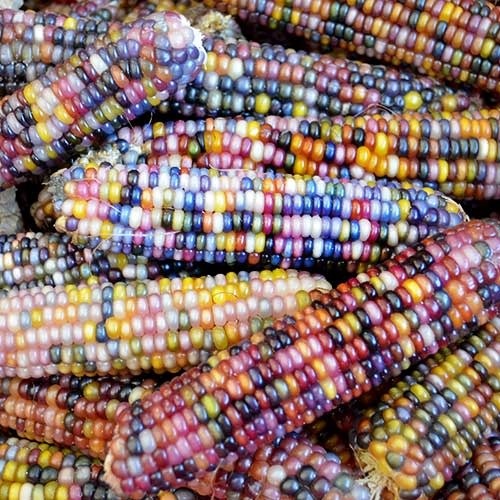 Great for crafts and display, for grinding into cornmeal, or for popcorn, glass gem corn is a versatile variety bears ears with an array of jewel-toned kernels. Developed by Seed Savers Exchange member Carl Barnes and stewarded by his protégé Greg Schoen, Glass Gem produces 1-2 ears per stalk, each 6-8" long on plants 8-10' tall. Late maturing, 110 days. ±2,500 seeds/lb.